Huntsville Alabama's only open water swim triathlon for youth and juniors and the only triathlon with a high school only division!! The race is held at the US Space and Rocket Center, Aviation Challenge. After a transition under the "bubble", in full view of bleacher spectator seating, the younger kids will set out to bike on roads which are completely closed to traffic. Their course takes them through a helicopter "graveyard" and on a scenic route up to the Botanical Gardens. The high schoolers get to ride through the Space and Rocket Center!! The run is held on a path around the lake, (with the high schoolers running out by the helicopter "graveyard") with a finish in full view of the covered spectator bleachers. Please see see the Schedule of Events for the race day timeline. *"High school" means any child who is a 9th-12th grade student, or the equivalent if enrolled in a home school program. 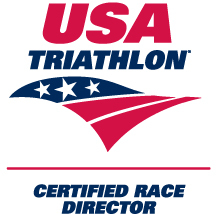 **Ages are as of December 31, 2019 per USAT rules.